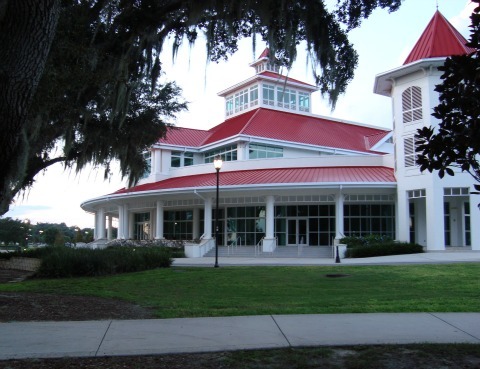 Haines City, Florida is a town of about 20,000 people in Polk County in Central Florida. It is near the intersection of US-27 and US-17/92. The town is six miles south of Interstate 4. The entire area around I-4 and US-27 is loosely referred to as Haines City although the town proper is to the south. The northern end of the Scenic Highway, SR-17, is in Haines City and follows along the east side of US-27 all the way down to Sebring. It is a ride I recommend. Haines City Florida was first platted in 1885, and was known as Clay Cut. Not long after that, the South Florida Railroad reached the area but didn't put a station in town. Local history says that townspeople persuaded the railroad to build a station by agreeing to rename their town after a railroad official, Colonel Henry Haines. In the early days, and still to some degree, the area was in the middle of some of the most fertile citrus groves in the state. 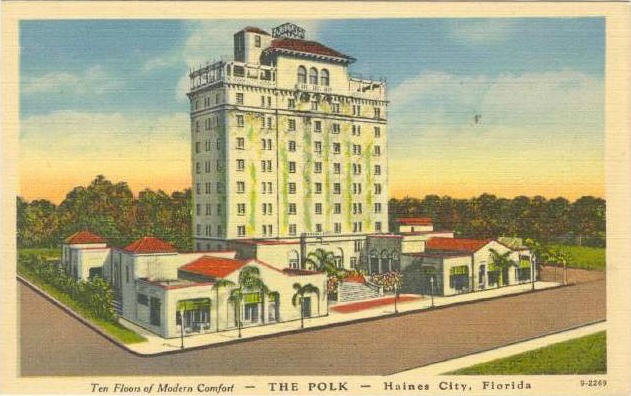 Citrus growing and processing became the main business of Haines City. One of the major juice companies in the early days was Donald Duck Citrus. It was a large employer, and it's plant on US-27 in nearby Lake Wales featured a prominent picture of the smart aleck duck himself. Local history says that Disney executives contacted the company in the 1960's and accused them of using the Disney character's name without the proper licenses. The owners of Donald Duck Citrus immediately produced an old yellowed document that proved Walt and Roy Disney had given them the rights to the name almost forty years before Disney even thought of moving into Central Florida. Another major employer was Suni-Citrus Products Co. in Haines City, founded by a man named Emory Cocke. This company had developed special processes to convert orange peels and pulp into cattle feed. I met Mr. Cocke during my engineering career many years ago, and he was an interesting man. His office ran efficiently even though it looked like it was right out of a 1930 movie with old telephones, typewriters and a general vintage atmosphere. In recent years Haines City has seen tremendous population growth because of its easy access to job centers in Tampa, Orlando, Walt Disney World and Universal Studios. Some of this growth has resulted in prosperity for the town as can be seen in the newly opened Lake Eva Community Center in the photo above. New subdivisions have been developed on the edges of the city, especially in the areas near I-4 north of the city. 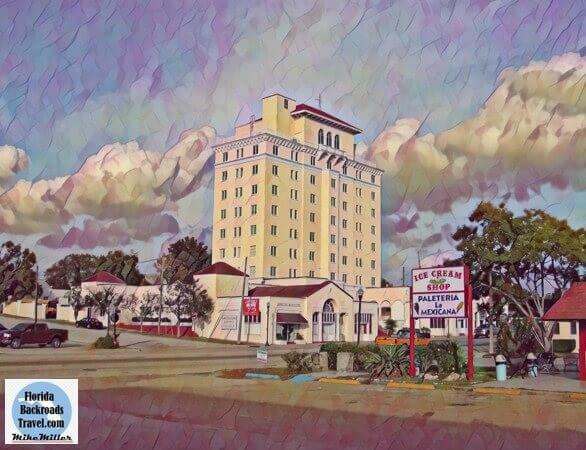 These modern developments are in stark contrast with the old Palm Crest Hotel, formerly known as the Polk Hotel, in downtown Haines City that has dominated the skyline since the 1920's. Like most smaller Florida towns, the downtown area is the last to be modernized.